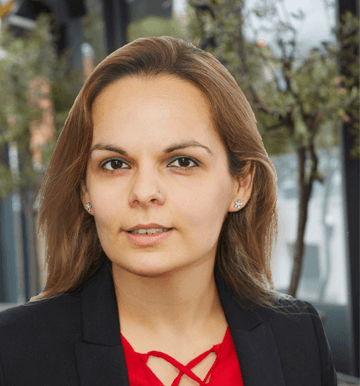 Dr Catherine Athanasiadou-Lewis is a Chartered Counselling Psychologist accredited by the BPS and registered with the HCPC. She is also a BABCP accredited Cognitive Behavioural Therapist and an experienced integrative psychological therapist and supervisor. Currently, she teaches on the Counselling Psychology Doctoral programme at London Metropolitan University, and as Lead Psychologist in the NHS, she practices in the area of substance misuse. Her clinical work in Harley Therapy is informed by psychodynamic and relational principles whilst encompassing cognitive-behavioural interventions in an eclectic manner that idiosyncratically corresponds to her clients’ needs. She has over 15 years of clinical experience in primary and secondary care services within the NHS, the private sector and within charities, in London and Bristol. Catherine is particularly interested in mood and anxiety disorders, sexuality, eating disorders, psychosomatic illness, addictions, life transitions, relational problems, self – esteem, trauma and issues around identity and sense of self. She offers individual long term psychodynamic and integrative therapy, short term cognitive behavioural therapy as well as relational psychotherapy for couples. Catherine’s approach to treatment is driven by research outcomes whilst relying heavily on clients’ subjective needs and self-defined goals, within a respectful and empowering therapeutic environment. Continuously inspired by the multilayered realms of the human psyche, she is an active researcher with various papers in the areas of psychotherapy and psychopathology.